Don’t miss out on this opportunity to see Peter Oundjian, famed for his orchestra-building skills and audience engagement, perform with a top tier orchestra and acclaimed pianist. For more information on the Festival of the Arts Boca or to purchase tickets please click here. Featuring Special Guest DJ George playing the finest Armenian, Greek, Arabic and Top 40 music all night long. Food and drink specials included for Florida Armenians. Parking garage directly adjacent to The Greek Bistro is recommended. 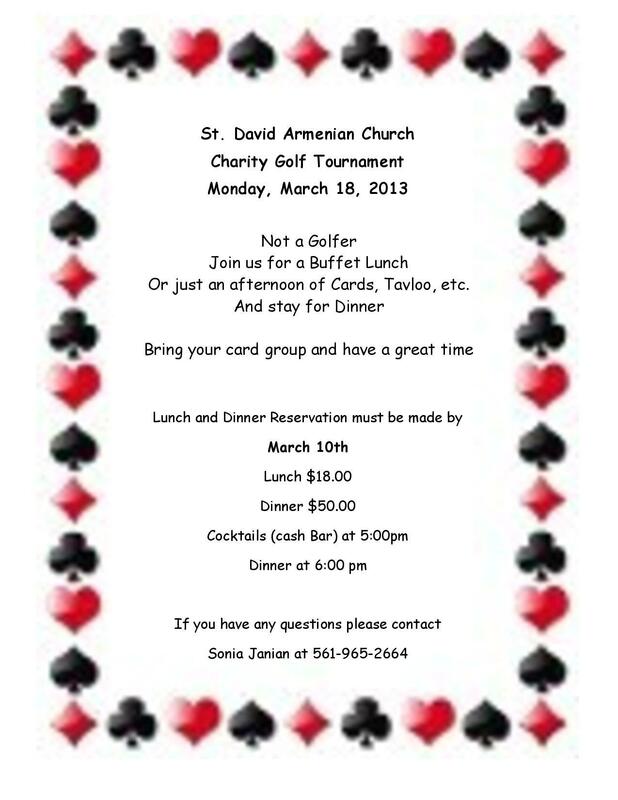 Please RSVP by Wednesday, March 14, 2013 to Carol Norigian at (561) 734-0133 or via email at cnorigian@aol.com. 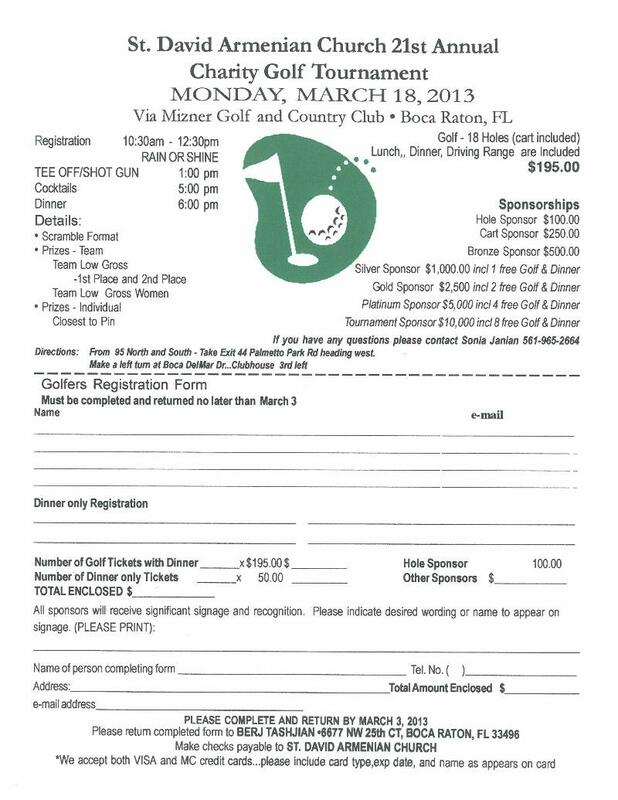 18 Holes of Golf, Cart Rental, Box Lunch, Buffet Dinner and Driving Range Included in Registration Fee. For more information or to register contact: Sonia Janian at (561) 965-2664 or soniajanian@yahoo.com.